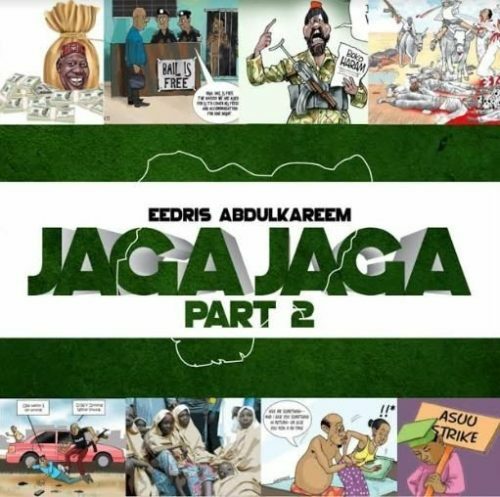 Here is a must listen track from Eedris Abdulkareem – Jaga Jaga (Remix) out now! Veteran Nigerian hip hop artiste Eedris Abdulkareem premieres the remix of his yesteryears hit ‘Jaga Jaga‘. The tune which in the early 2000 turns 15 today and in view of Nigeria’s current situation Eedris make a more current remix which captures more illness as seen in the society. He urges Nigerians to shine their eyes! Listen to Eedris Abdulkareem – Jaga Jaga (Remix) below. Kindly enjoy & keep sharing. Paul Okoye’s Reply To Eedris Abdulkareem’s Criticism Is Epic!